Villa Splash is one of the three dazzling villas in Lime Samui Estate. 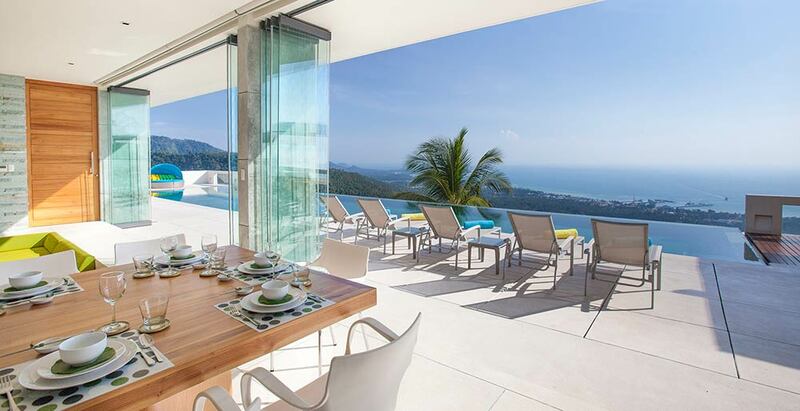 This clifftop villa in Nathon has commanding views of almost the entire length of the island’s west coast out to the islands of Ang Thong National Marine Park and the Thai mainland. Made up of five large and airy bedrooms appointed with king or queen-size beds while one is a family room with 2 queens and 2 bunk beds. Other facilities include a plush home cinema, gym, private 20m swimming pool and a team of staff including a villa manager, chef, housekeepers, service staff and security.